Kansas guard Lagerald Vick (2) elevates to the bucket past Villanova guard Phil Booth (5) during the second half, Saturday, March 31, 2018 at the Alamodome in San Antonio, Texas. 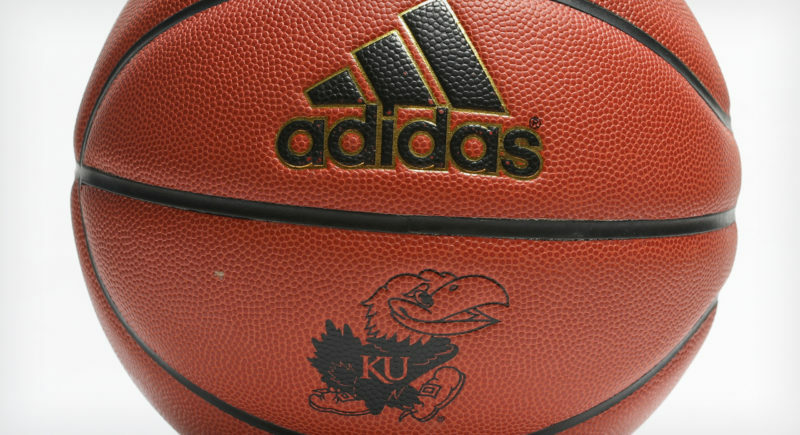 Not long after the Kansas men’s basketball team picked up a survive-by-the-skin-of-your-teeth victory over New Mexico State last Saturday, junior forward Dedric Lawson received a phone call about the Jayhawks’ future. On the other end of the line was former Kansas point guard Devonte’ Graham, who had a simple message for Lawson. “Devonte’ hit me up after the last game and he had seen we were struggling against New Mexico State and he said, ‘Don’t even worry about that, just win Saturday for me,'” recalled KU’s leading scorer on Thursday. It remains to be seen whether Lawson and his teammates will deliver on Graham’s request, but the fact that the current Charlotte Hornet felt the need to place the call provides an indication of just how big this game is. Yeah, it’s just a regular season game in the middle of December that likely won’t have any bearing on either team’s big-picture goals. 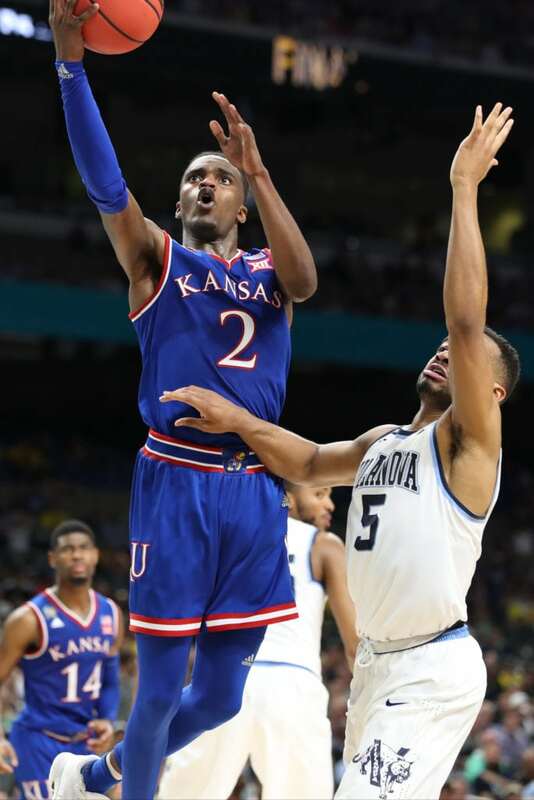 But it’s also a rematch of last year’s Final Four beat-down by Villanova and neither Graham nor anyone else whose heart is in the Kansas locker wants to see a replay of that rough night in San Antonio last March. Both coaches watched film of that Final Four matchup last season in preparation for this one, but both also said they did not expect to learn too much. For one, the game was a blowout. For two, both teams lost a ton of players from those Final Four rosters. Seniors Eric Paschall and Phil Booth, along with sophomore Collin Gillespie are back as the top returning contributors for the Wildcats (8-3). 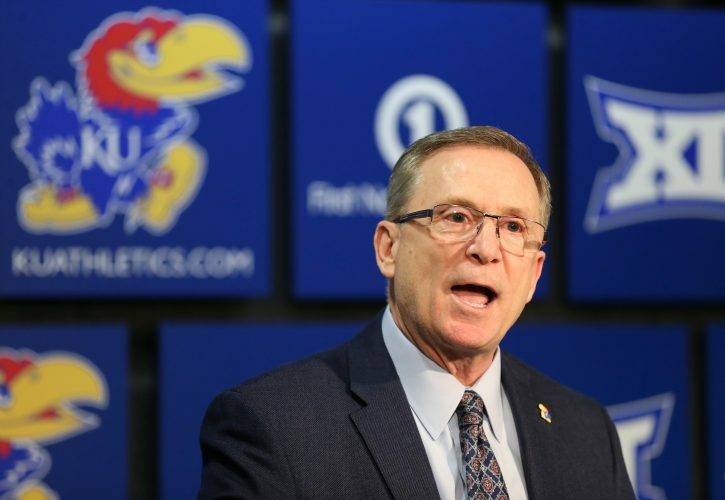 While the Jayhawks return just Lagerald Vick and Marcus Garrett from last year’s game, with Udoka Azubuike still sidelined with an ankle injury and not expected to suit up. All six of those players factored into last year’s game in a big way and five of them figure to have even bigger roles in this one. It also might look a little like a Final Four matchup, minus about 70,000 seats and hundreds more media members. 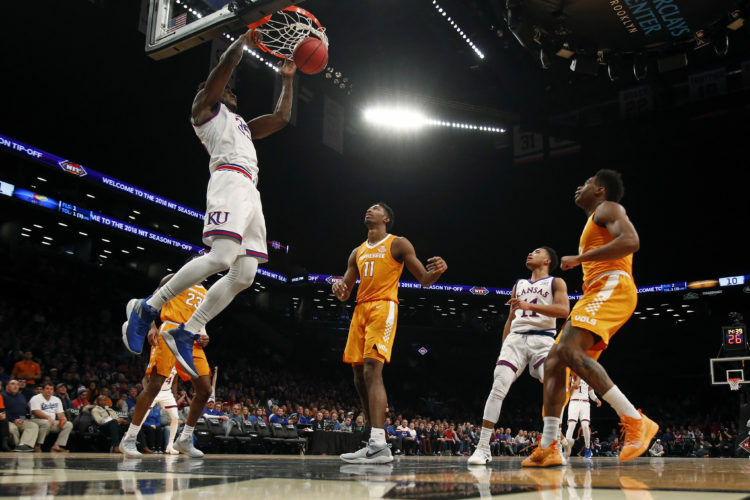 On the court, though, both of these teams figure to play like the season is on the line, which should provide both teams with arguably their best test of the nonconference season. 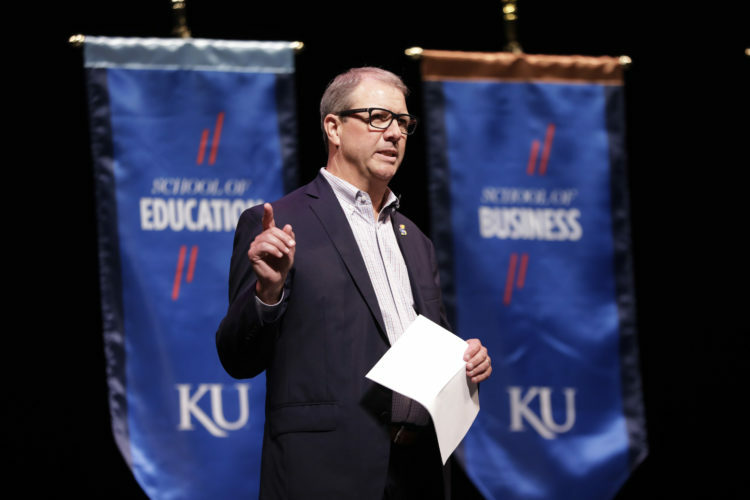 During a mid-week phone interview with the Journal-World, Wright basically echoed Self’s sentiments when talking about facing the Jayhawks. “If you’re not tough and physical against them, you’re going to get beat down,” Wright said. When asked to identify the biggest key to Villanova’s stellar five-year run, both Self and Wright pointed to a similar strength. The stage is set. The stakes are clear. National television. Allen Fieldhouse. Two of the three winningest programs in all of college basketball during the past five seasons. Bill Self and Jay Wright. Even though the Jayhawks are trying to treat this one just like any other game, it’s clear, from both the fan anticipation and the player perspective, that this game means a little more.